You can'’t buy loyalty, they say, bought it though the other day. You can'’t buy friendships, tried and true. Well, just the same I bought that too. The cost to adopt a Seaspray Australian Labradoodle puppy is $3000.00 (plus tax for Florida residents and PayPal fees if applicable). First you must complete the Puppy Application. Upon acceptance of your Application, your name will be placed on our "We're Expecting" waitlist and a $400.00 USD by check or $412 by PayPal non-refundable reservation deposit is required to reserve a future unborn puppy. All payments will be applied to the total cost of your puppy and are non-refundable unless we are unable to provide you with a puppy. You may make your deposit by check or Paypal. It is preferred that second payments and Final payments be made by check. Please be aware BEFORE you place a deposit for one of our puppies that we do have a waitlist. If you would like to learn more about our waitlist, please contact us before making your deposit. Thank you. We maintain a waitlist for our puppies. We recommend you correspond with Leslie about the possibility of a wait for your puppy. Leslie@SeasprayAL.com. Thank you! Pay by check - $400.00 - USD non-refundable reservation deposit is required to reserve a future unborn puppy. If you pay by PayPal - $412.00 USD non-refundable reservation deposit is required to reserve a future unborn puppy. Second Puppy Deposit - payment by check is requested. When you receive a call that your puppy has been born, a second deposit of $500.00 is due. If paid by check, amount due is $500.00 USD. If paid by PayPal, amount due is $515.00 USD which includes PayPal fees. Payment by check is requested. 1. Florida Resident - If paid by check, final payment of $2096.00 which includes Florida State Taxes is due when your puppy is four weeks old. 2. Florida Resident - if paid by PayPal, final payment of $2153.00 which includes Florida State Taxes and PayPal Fee. Due when your puppy is four weeks old. ​Payment by check is requested. 1. Florida Resident - If paid by check, final payment of $2310.00 which includes Florida State Taxes. Due when your puppy is four weeks old. 2. Florida Resident - If paid by PayPal, final payment of $2371.00 which includes Florida State Taxes and PayPal fees is due when your puppy is four weeks old. 1. Non-Florida Resident - If paid by check, Final Payment of $1900.00 USD is due when your puppy is four weeks old. 2. Non-Florida Resident - If paid by PayPal amount due is $1957.00 USD which includes PayPal fees. 1. 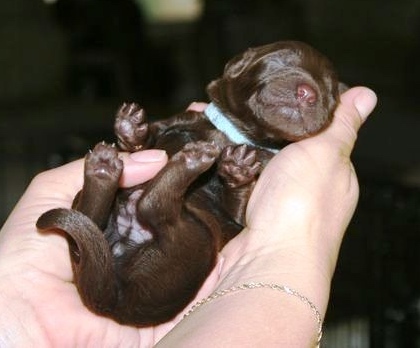 Non-Florida Resident - If paid by check, final payment of $2100.00 is due when your puppy is four weeks old. 2. Non-Florida Resident - If paid by PayPal, final payment of $2162.00 which includes PayPal fee, is due when your puppy is four weeks old. Visit to meet your puppy by applicant or designated representative required. Puppy Visitation by you or your designated representative, or Picking up your puppy will satisfy this requirement.